When running a business, it gets tougher as the accounting part of your business comes into the picture. 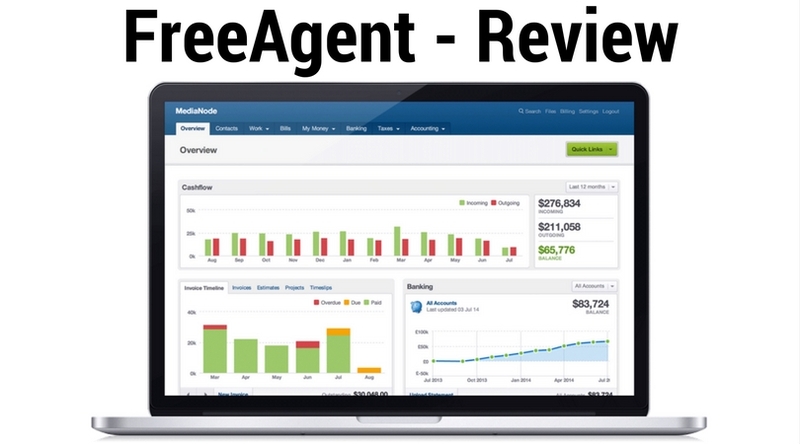 The makers of FreeAgent’s, a free accounting software, has created seamless interface keeping in line with the new business users and their requirements. Even though the process of setting up isn’t that comprehensive, it provides the user the access to various tutorial videos from the moment the user open up the dashboard. This, in turn, helps in getting things at their right place. This software is quite helpful when it comes to first time user of bookkeeping software. 1. Basic accounting features like expense tracking, the addition of bills to pay and creating any new client, are quite easy to follow, and its interface provides full help for the new user at the moment they start. 2. When it comes to creation and transmission on invoices or various quotes, the procedure is quite simple. The interface provides you with the ability to easily add available discounts and also attaches the document to various projects you are handling. However, this entire process can create hassles and confusion in case you need to make few adjustments before transmitting the invoice or the quote to your client. 3. It also provides the way to add clients although it doesn’t provide the ability to create and also manage vendors. In place of this, the user can create and also add expenses to the contact, which is quite limited. 4. One should keep in mind that this software only provides one package for its small accounting software for business. However, the software’s interface provides decent support to any number of users along with providing complete control to the administrator when it comes to granting permission level to each user. 1. Whether it is about performing different basic tasks like invoice creation and expense tracking, or any other feature, it is quite simple to learn. 2. This software comes with an online knowledge base with FAQs and other solutions to common problems its users usually face. It also comes with standard telephonic support along with email support. The user can also get registered to various webinars that are present on this software’s website. These webinars are quite helpful to the new users. 1. This software doesn’t provide support to various business related functions which are quite important for larger business. 2. Regarding managing the various items and services, it doesn’t provide effective customization tools that are present in its competitors. Even with the lack of advanced accounting tasks and process, FreeAgent is quite easy to use with basic accounting functions which make it a good selection for freelancers and contract workers. Its interface makes it quite simple to learn and operate as it allows the user to manage and track their income and different expenses. So, in case you are looking for simple accounting solution without spending any money, this software is the right pick. Do try it and also send us your reviews and experiences via mentioning them in the comment section below.